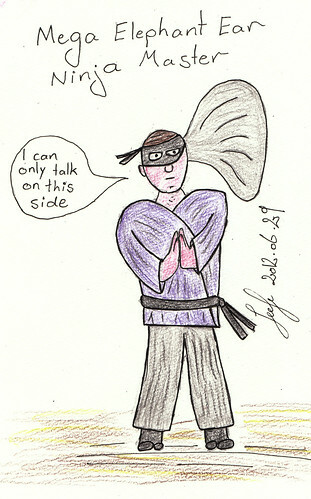 While Mega Elephant Ear Ninja Master can hear enemies coming from far away, it impacts his ability to communicate in comics. He can only have speech bubbles on one side. This entry was posted in Comics and tagged cartoon, drawing, elephant, ninja, sketch. Bookmark the permalink.